1992 Sunseeker 60 Renegade VERY RARE FIND! TWIN MAN JET DRIVES!!! 1100hp on each engine with roughly 1500 hours. Easy maintenance & very fast for a 60+ft boat - WOT over 40 knots! The boat is in excellent shape for a 1992 with many newer upgrades. Please reach out to Christian Defeo for more information at 6318893187. 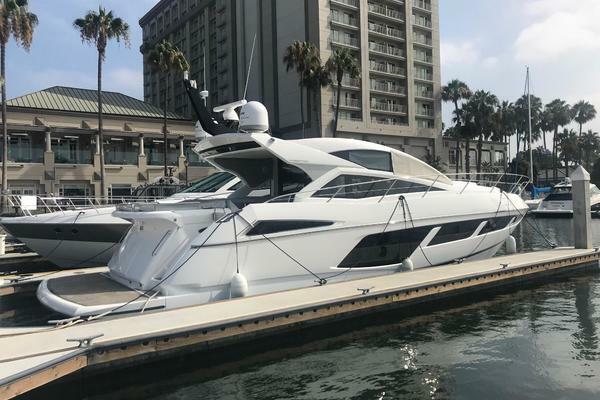 United Yacht Sales New Jersey would love to guide you through a personal showing of this 63' Sunseeker 60 Renegade 1992. This yacht for sale is located in Lindenhurst, New York and priced at $249,999. For a showing please contact us by filling out the form on this page and we will get back to you shortly!